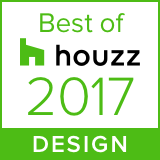 Bloomington, IN, January 19, 2017 – Color Theory of Bloomington has won “Best Of Design” on Houzz®, the leading platform for home remodeling and design. The color-centric painting company was chosen by the more than 40 million monthly unique users that comprise the Houzz community from among more than one million active home building, remodeling and design industry professionals. Color Theory is a company dedicated to helping people love their home through great color and craftsmanship. Beginning in Indiana in 2008, founder Torlando Hakes started Color Theory while pursuing his art degree with nothing more than a backpack and a bicycle. Today Color Theory employs several artists and craftsmen and helps hundreds of customers a year with finding the perfect color match for their home. With proven painting methods and a star team Color Theory will give you the best painting experience in Bloomington.